Hey everyone! Hope you are doing great! The January 2017 My Envy Box reached at my doorsteps a couple of days ago, but I couldn’t post it right away since I was caught up with some work. But better a little late than never! The theme for this month is #GetUpAndBoogie and is quite good for starting a year! I quite like this month’s box and I am already using most of the products. Now this sort of perfume samples make me happy! 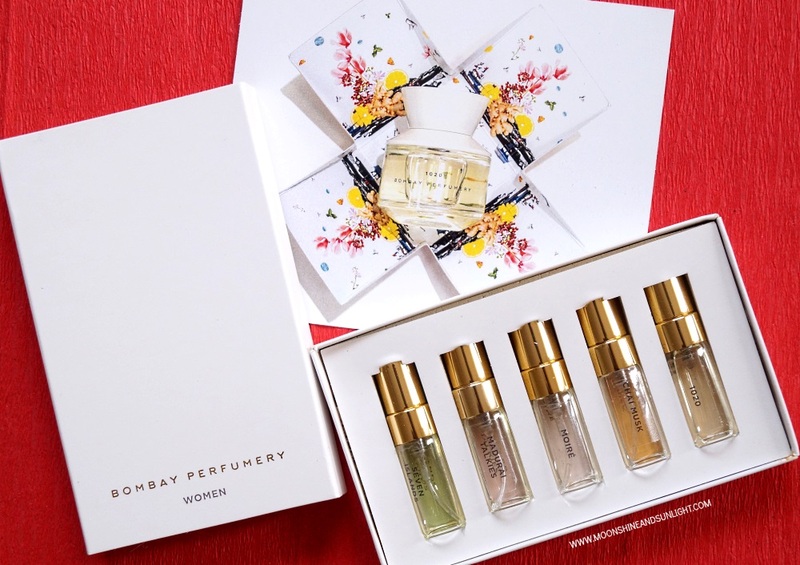 Small (not tiny) sized samples of 5 fragrances from Bombay Perfumery. I have been using these and I love “Moire” the most. I already raved about this on my snapchat (ID –priyanjana_mns) earlier this week. It smells divine and the floral notes make it a perfect hair accessory for spring and summer! Hedonista products are chemical free so I am not afraid to use this on my hair. I tried using it as a normal perfume, sadly it doesn’t last on skin for long. Radiance lotion sounds way better than whitening lotion. This is meant to restore your natural radiance and shine of your skin. But the only turn down is that it can’t be used on sensitive or acne prone skin. But, I will give it a try anyway, because it looks too good to pass out on. I do wish they had a choice for this one. Essence products are pretty good for everyday use. I have used this a couple times and I like it as daily wear already! I have used the XXXL Matt lip color and I enjoyed using it. Although I don’t use lip glosses much, this shade looks wearable and can be layered on other lipsticks as well. I really like the mix of products in this box. Hair, skin makeup and perfume is a diverse mix and I am delighted with the contents of this box. The value of the products altogether is more than 850 INR, which is the price of one month’s subscription. I will definitely recommend you to get this box, in case you don’t have sensitive or acne prone skin. Let me know which one is your favorite product from the box! Update -> This box is sold out and they are taking orders for the February 2017 My Envy Box! I like the Vinyl theme a lot. The product mix also looks great. Love the lip gloss. Great envy box.